I realized recently that I am actually coming up on the tail end of my Trolls. I only have about 25 models left to paint (one big unit of 15, a couple small 3 man units and a few casters) so I have started thinking about what project I want to do once this one is done. 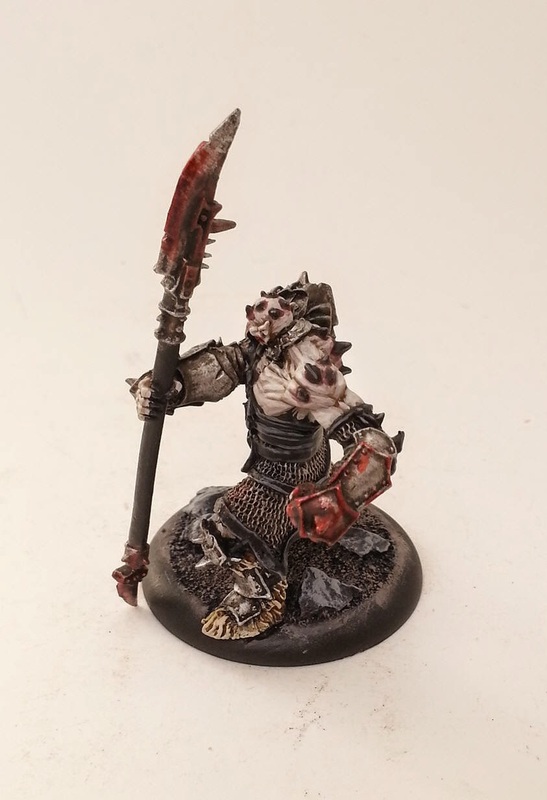 I have a few in mind and have even posted a couple articles on those projects like these Retribution of Scyrah models ( http://legiominimus.blogspot.ca/2014/07/retribution-of-scyrahtake-2.html ). After playing a few games with them I don't know if the army is for me. This is also true for the aesthetic of that army as I find it kind of boring. 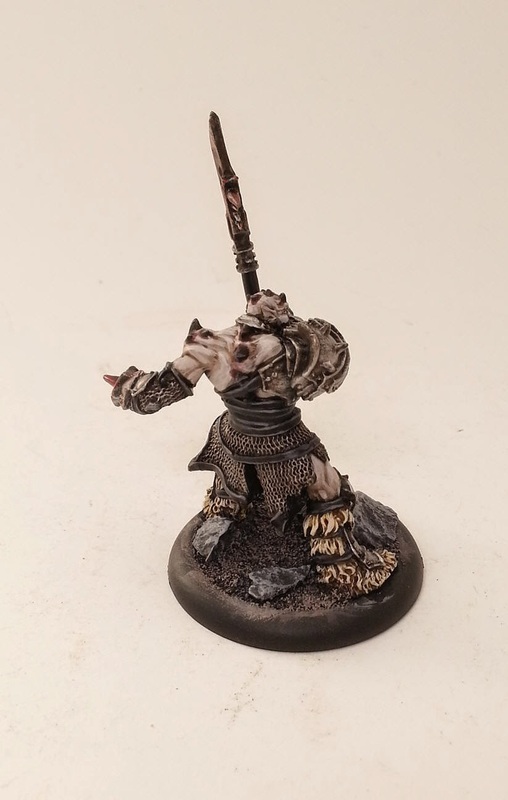 Recently I came into a few Legion of Everblight models. When looking at the army its a blend of Dark Eldar and Tyranids so one would think it would be a natural fit lol. I like most of the models and I also really like the rules for the army which is a much more established force than the Retribution is. I thought a long time about how I wanted to paint them. I knew I didnt want to do something too similar to my Tyranids (so purple and brown was right out). 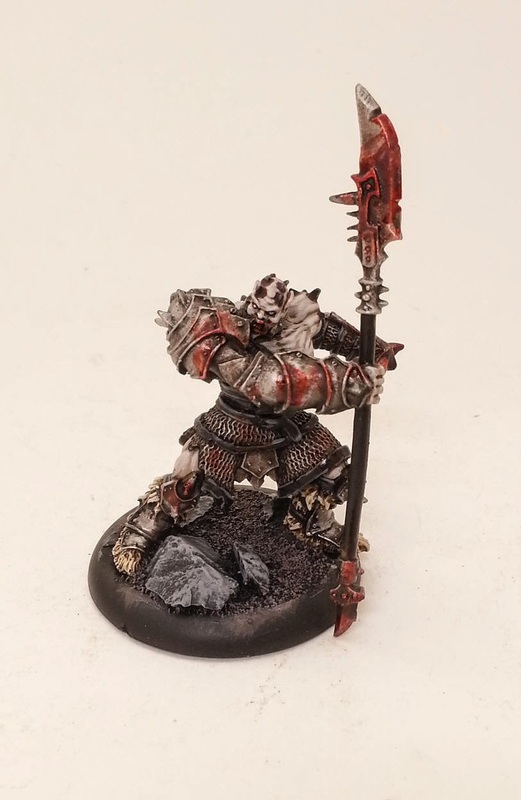 I also try to do a new technique with every army I do. So, with that in mind I thought it would be really cool to do what I call a "Sin City" army. One that is almost entirely black and white, with bright red blood effects and a tiny amount of spot colour all staying in the same overall dark tone. Below is my first test model. I haven't totally decided on the bases at this point but the overall look of the model is exactly what I was going for. I am also working on a light beast which I will post later this week.